S-Booster 2018 is a contest for new, space-based business ideas. The broad range of entries includes start-ups, students, individuals, and people in other industries. Support is given to commercialize these ideas, including mentorship to polish the ideas, with the goal of receiving funding from investors, etc. The Final Presentation was held on November 19 for 12 finalists, eight in the Business Plan Category and four in the Future Concept Category. After a heated discussion, one Grand Prize, one Future Concept Prize, five Sponsor Prizes, and one Special Judges' Prize were awarded to the winners. Other than required data that is provided to customer users, observation data from Earth observation satellites (particularly small satellites) is overwritten and discarded without being used. We will build a service for data backup and usage by utilizing passenger aircraft to collect this data. We will integrate satellite data with POLA's over 17.5 million pieces of skin data to create a data platform specialized in beauty and health. Moreover, among the satellite data, we will focus on near-infrared light (which affects skin), providing information about prevention and care in our Beautiful Skin Satellite Forecast (BtoC and BtoB). Connecting space technologies with customers that actively invest in their beauty and health will help develop society as a whole. In recent years, cultivation technology progress has enabled the growing of more productive crops in addition to traditional ones. However, people tend to overlook this potential. We will analyze all satellite data comprehensively, such as 3D terrain maps, fine-granular precipitation, sunlight, and so forth to discover optimum crops for specific times and places and reflect them in agricultural strategies. By using "tsunamigenic ionospheric holes" we discovered through GPS data, we found that the initial tsunami height can be accurately predicted from space after a large earthquake. Furthermore, using geostationary positioning satellites, the potential Nankai megathrust earthquake hypocentral region can be constantly monitored, and thus tsunami prediction is possible without being disturbed by total electron content (TEC) from GPS satellites. Focusing on the unique space environment for human skin, we propose a business for improving the quality of life (QOL) of humans in space, based on the concept of co-existence with microbes. Microbial manipulation is the key technology to create a comfortable human skin environment in space, which should contribute to rapidly accelerating the public use of space travel and stays. By equipping passenger aircraft with Synthetic Aperture Rader (SAR), we propose to construct an expanded data analysis system with existing satellite data for Earth observation. This system will constantly collect a large amount of high-frequency and high-resolution data that was not obtainable with satellites alone. This should contribute to disaster relief, and create a new opportunity for satellite utilization in the Big Data market. It is said that there are unique microbes existing in the stratosphere. We are planning to use balloons for the low-cost collection of these microbes. The origins and characteristics of these collected microbes will be analyzed by the latest genome analysis. Learning about the microbes surviving in quite high ultraviolet ray zones should lead us to discover new substances and mechanisms that will contribute to producing new materials or medical treatments. 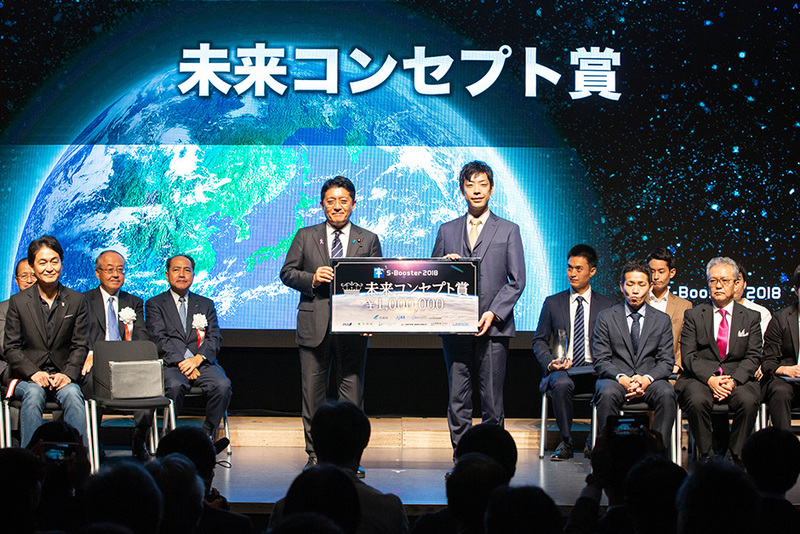 The small satellite launch market will grow to 13 trillion yen by 2030, but there is a supply shortage of six trillion yen. Although rapid progress is underway for small-sized rocket development, there are not enough launch facilities to keep up. Meanwhile, 40% of offshore drilling rigs are on standby, construction fees have fallen to half of what they were at their peak, and the second-hand price of rigs has dropped to several hundred million yen. This operation of an offshore rocket launch facility by a private entity will be the world's first, and the current excessive rig supply for rocket launching is the best chance. We will create a next-generation telepresence robot that can do lunar base development tasks from the Earth. The telepresence robot we are developing can communicate between the Earth and Moon using limited network infrastructure. This will make it possible to remotely conduct lunar base development tasks from the Earth's surface, drastically cutting lunar base development costs and also resolving safety issues. Data on the Earth's interior has limitless value, including for underground resource exploration and accident prevention to save human lives. This idea uses cosmic rays, a space resource that falls from space to Earth, to perform "CT scans" on the Earth, just like CT scanning human bodies. The aim is to clarify the structure inside of the Earth and achieve global development for more affluent, safe, and secure societies. Installing sensors either on small satellites as a piggyback mission or on extremely low-priced CubeSats specialized in ionospheric disturbances preceding earthquakes, which have proven statistical significance, will realize quasi-real-time earthquake prediction. 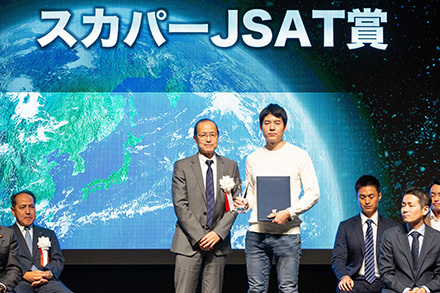 In the end, a group of around 30 satellites will constantly monitor the entire Earth to create a service for providing earthquake prediction information to countries that experience frequent earthquakes and the insurance industry. Many people believe that the northern lights cannot be predicted, that we cannot know when they are visible, and that one has to patiently wait outside until they occur. However, these are all misperceptions about auroral observation. The northern lights can be reliably predicted with satellites, and they release beautiful light on a 30-day cycle. I will show you how to predict the northern lights cycle to see them on the right day at the right place. Special talk show: "Giving Concrete Shape to Space Business Ideas"
The following prizes were awarded after a heated discussion. 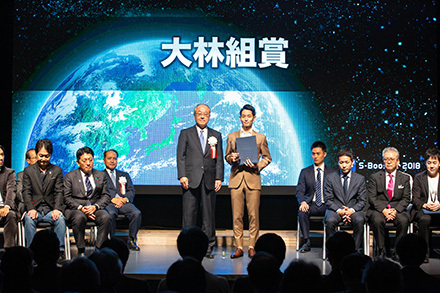 Outline of idea The small satellite launch market will grow to 13 trillion yen by 2030, but there is a supply shortage of six trillion yen. Although rapid progress is underway for small-sized rocket development, there are not enough launch facilities to keep up. Meanwhile, 40% of offshore drilling rigs are on standby, construction fees have fallen to half of what they were at their peak, and the second-hand price of rigs has dropped to several hundred million yen. Commentary The biggest significance of this idea is that it is executable right now and great impacts will follow. 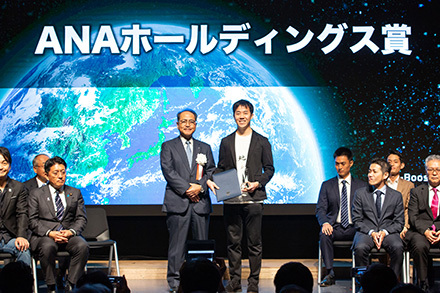 In general, ideas in this kind of business contest would involve long lead- times for their commercialization, but this idea requires less than three years. Even more, it seems quite profitable. The only thing is to secure funding. Moreover, this perfect timing, when there are many surplus rigs, makes it a promising idea with great potential to put Japan on the front lines of global space business. 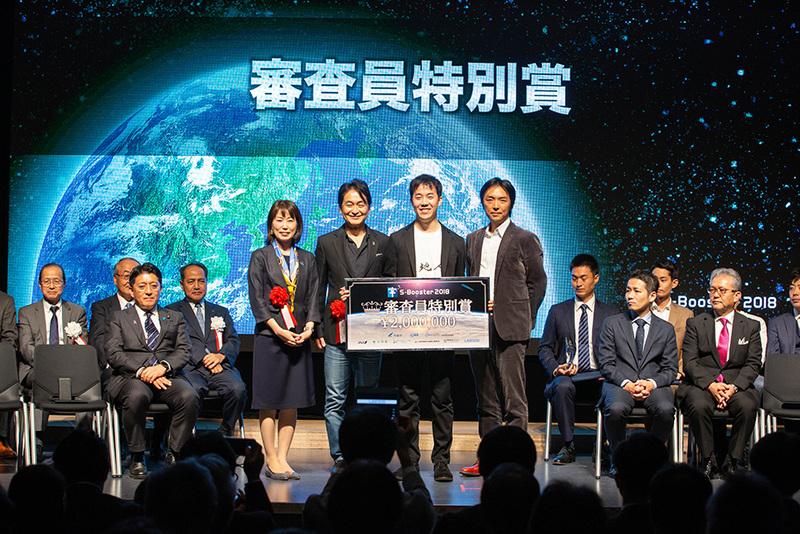 In addition to the Grand Prize of 10 million yen, I hope that support for the prize-winning ideas and participating projects will ignite the Japanese space industry. Comment from the winner I am thrilled to win. Thanks to the support of many people, I see that results are immediately visible. I would like to ask government officials for regulatory support. 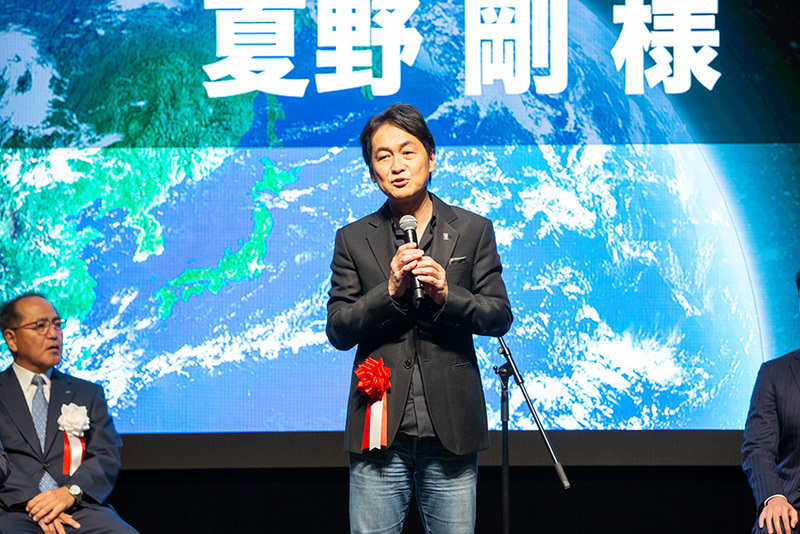 I want to make Japan a major space development nation. Outline of idea Data on the Earth's interior has limitless value, including for underground resource exploration and accident prevention to save human lives. This idea uses cosmic rays, a space resource that falls from space to Earth, to perform "CT scans" on the Earth, just like CT scanning human bodies. The aim is to clarify the structure inside of the Earth and achieve global development for more affluent, safe, and secure societies. Commentary It was a close contest among the four finalists, and there were many ideas that I hope to see in real businesses as soon as possible. Among them, we think this idea of using muography for CT scanning the Earth will have extremely large impacts on society. A major point is that this idea reveals more about the Earth, which is one of the goals of space development. I definitely hope the winner will work hard to accomplish it. Outline of idea In recent years, cultivation technology progress has enabled the growing of more productive crops in addition to traditional ones. However, people tend to overlook this potential. We will analyze all satellite data comprehensively, such as 3D terrain maps, fine-granular precipitation, sunlight, and so forth to discover optimum crops for specific times and places and reflect them in agricultural strategies. Commentary This exceedingly wonderful idea won three prizes (including two Sponsor Prizes), but we chose it based on our true feelings, regardless of its number of prizes. 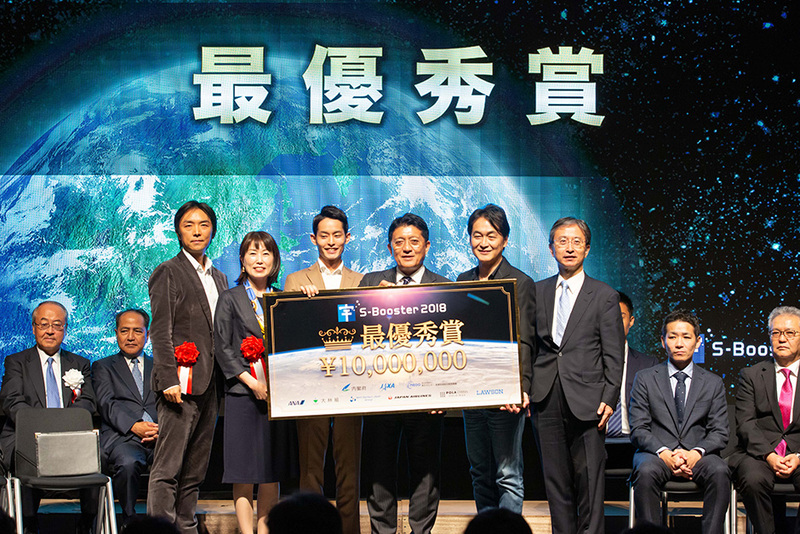 Going forward, I hope they will grow a great deal of high-value fruit, share it with the world, earn a lot of money, and make many contributions to Japan. Commentary This idea will likely create optimal combinations of farmland and agricultural produce that have never existed before, and we felt a sense of appealing potential about the air freight that will likely result. Commentary Obayashi Corporation is striving to build a space elevator, and the "Earth Port" will be an extremely important element of this. This idea, using rigs for rocket launches, teaches us a great deal, and we definitely hope to help commercialize it. Outline of idea We will create a next-generation telepresence robot that can do lunar base development tasks from the Earth. The telepresence robot we are developing can communicate between the Earth and Moon using limited network infrastructure. This will make it possible to remotely conduct lunar base development tasks from the Earth's surface, drastically cutting lunar base development costs and also resolving safety issues. Commentary This idea has a very solid technical basis, and is extremely appealing to our company doing business in telecommunications. When people are active on the Moon, we are hoping to be in charge of communication between the Earth and Moon, so we definitely want to collaborate with this idea. Outline of idea In recent years, cultivation technology progress has enabled the growing of more productive crops in addition to traditional ones. However, people tend to overlook this potential. We will analyze all satellites data comprehensively such as 3D terrain maps, fine granular precipitation, sunlight and so forth to discover optimum crops for specific time and place to reflect them in agricultural strategies. Commentary We were extremely impressed by the novel nature of Ten Chi Jin's idea connecting space and agriculture. 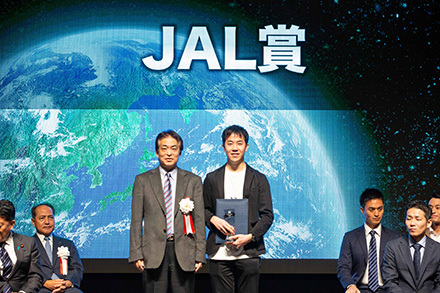 JAL established a company named "JAL Agriport" to operate farms for sightseeing purposes next to Narita Airport, and we hope to contribute in regional development. We look forward to implementing various initiatives together. Outline of idea It is said that there are unique microbes existing in the stratosphere. We are planning to use balloons for the low-cost collection of these microbes. The origins and characteristics of these collected microbes will be analyzed by the latest genome analysis. Commentary There were two ideas by groups of POLA employees: one about the influence of sunlight, and the other about the influence of space microbes. We believe Team Space Drifter's idea will complement both resolutions. We selected this idea thinking that revealing the microbial ecosystem in the stratosphere will help us achieve our goals. There were almost 200 entries to S-Booster 2018, out of which 12 were chosen as finalists. Mentors were assigned to each idea, and the teams spent a great deal of time polishing their proposals. I am sure all who participated had a strong desire to win, but unfortunately prizes do not go to everyone. However, I want to start by stating that all ideas in this Final Presentation are quite promising. The space industry is now in a great "boost phase." 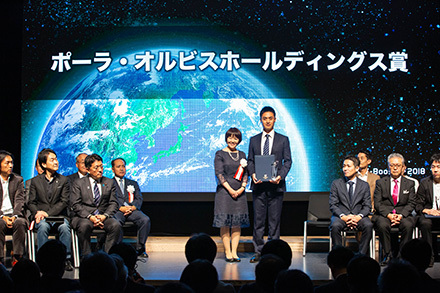 On the other hand, this means the level to which we boost the market will decide the future of the Japanese space industry. The 12 ideas are all fascinating, and the judges struggled to choose between them after watching the presentations on how to commercialize these ideas. Regardless of the results, I hope the finalists will proactively get in touch with investors in the audience and other people you met today to win their support, funds, knowledge, courage, and even energy. I also hope the investors will provide funding to promising ideas and receive returns. In this way, I hope S-Booster will keep growing into the most productive space community that brings project proposers and their supporters together. S-Matching enables smooth matching between space business entrepreneurs, and investors willing to invest in or fund the space industry. The S-Booster 2018 finalists' business ideas can be viewed on the website. ©2018 Cabinet Office, Government Of Japan. All Rights Reserved.